Vintage Merry Christmas and New Year Card with Comfy House and Snowy Window. With Best Wishes for Christmas and the New Year. Miss Emily T. Cripps. Card is 3 1/2" high and 5 1/4" across. Card is in very good condition, wear at edges, back is blank. 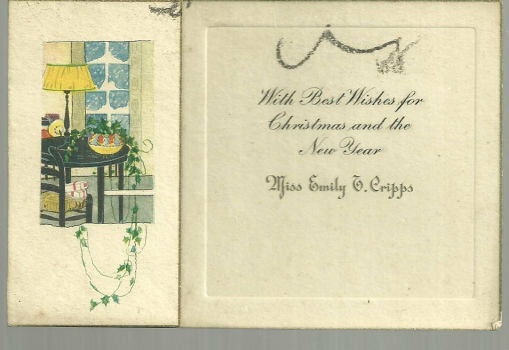 Items Similar To "Vintage Merry Christmas and New Year Card with House"